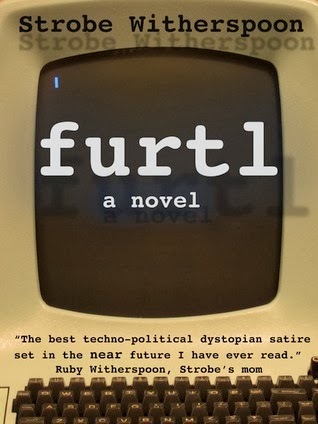 "furtl" is a near-future technopolitical dystopian satire with tie-ins to current events... and the book has the potential to be prophetic. The book is set in 2026, and it follows the dying American tech company, furtl, as a Chinese company takes over the market. With hopes of quelling the Chinese company's take over, furtl lobbies the government to ban Holospace technology -- and the government requests user information in return. As a reader, lots of words come to mind while reading: NSA, wikileaks, Snowden, National Defense Authorization Act, Bradley Manning, and more. You will catch yourself reminiscing on many current events as you read -- it's inevitable! No matter what side of the whole privacy-vs-safety thing you're on, "furtl" will make you think. Furthermore, it will entertain you... and it WILL make you laugh. A great read for anyone who likes technology and politics and dystopian fiction!